Premium Online Safety Training At Your Fingertips 24/7! Take your online safety training course today. Remote Site Safety online training courses are automatically made available to you after purchase. Our online exam testing engine gives you the flexibility to take your course when you want, how you want. 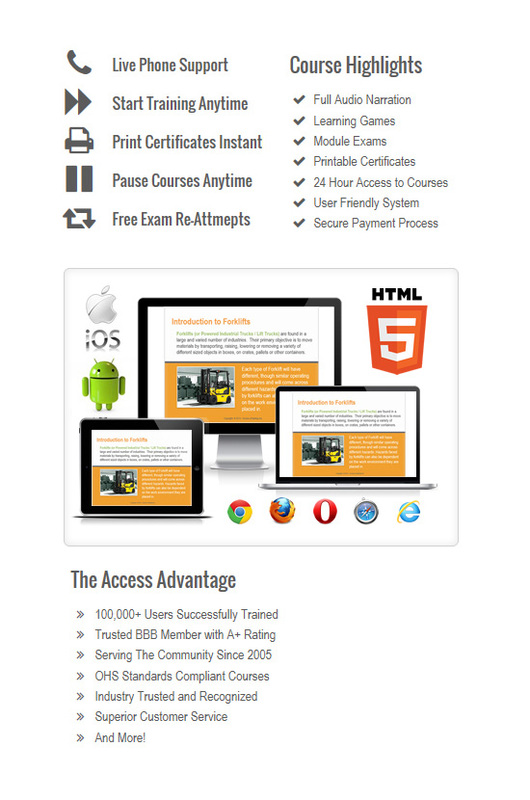 Fully secure learning environment and payment methods. Environmentally friendly - requires no manual/paper or travel time to access your training. You can have as many employees access online training at any given time. Save time and money with not having to outsource a safety instructor. Corporate discount pricing program and Free Technical Support! Your ExamCenter includes access to all of your previous exams, with the opportunity to review your exam. Our T2 platform system provides you with the areas in which you may need to improve in, along with areas in which you can look to find solutions. 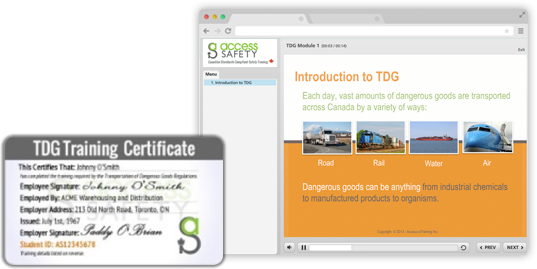 After completion of any Remote Site Safety online training courses you are issued a printable certificate as proof that you have successfully passed and have knowledge pertaining to the course of interest.